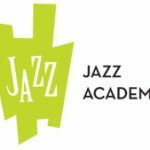 The Jazz Arts Group of Columbus (JAG) will celebrate the Jazz Academy’s first birthday with an open house on Thursday, June 10 from 5:30 – 8 PM at its home in the King-Lincoln District. The festivities will include music, tours, demonstrations, games, cake, ice cream and a very special award presentation honoring Jazz Academy faculty member Rebecca Ogden, also known as “The Music Lady,” for her lifelong commitment to music education and to the promotion of live music and musicians in the community. In 2009, the Jazz Arts Group opened the Jazz Academy community instructional space in the newly restored and historic Lincoln Theatre complex for multi-generational and recreational music making, ensemble playing, after-school programs, technology instruction and lectures with world-class musicians – a place where everyone can listen, learn and play. With nearly 5,000 square feet, this state-of-the-art facility is home to a recording lab, a keyboard studio, and multiple rehearsal spaces. The Jazz Arts Group believes in the power of music to transform lives and is committed to offering lifelong-learning opportunities for individuals of all ages, interests, backgrounds and abilities. Classes at the Jazz Academy are designed to engage all ages and interests, from pre-school children to senior citizens, guitar players to aspiring producers, and students to teachers. For more information regarding summer camps, registration policies, or scholarships, please contact Jazz Arts Group at 614-294-5200 x 107 or visit www.jazzartsgroup.org for complete class descriptions, faculty biographies and online registration. To help support the efforts of the Jazz Academy, a birthday gift registry is also available for viewing online at www.jazzartsgroup.org.